It is known that multicast is an efficient method of supporting group communication as it allows the transmission of the packets to multiple destinations using fewer network resources. 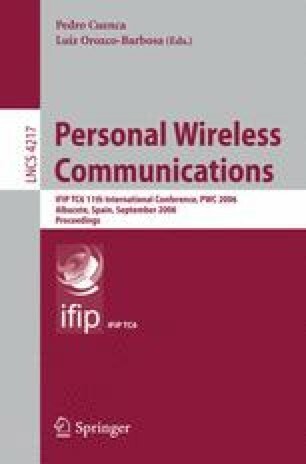 Along with the widespread deployment of the third generation cellular networks and the fast-improving capabilities of the mobile devices, content and service providers are increasingly interested in supporting multicast communications over wireless networks and in particular over Universal Mobile Telecommunications System (UMTS). In this paper, a multicast scheme for UMTS is analyzed. We analytically present the multicast routing mechanism behind our scheme as well as the multicast group management functionality of the scheme. Furthermore, we present an evaluation of our scheme in terms of its performance. The critical parameters for the evaluation of the scheme are the number of users within the multicast group, the amount of data sent to the multicast users, the density of the multicast users within the cells and finally the type of transport channel used for the transmission of the multicast data over the air.